One beetle’s trash is another beetle’s treasure! 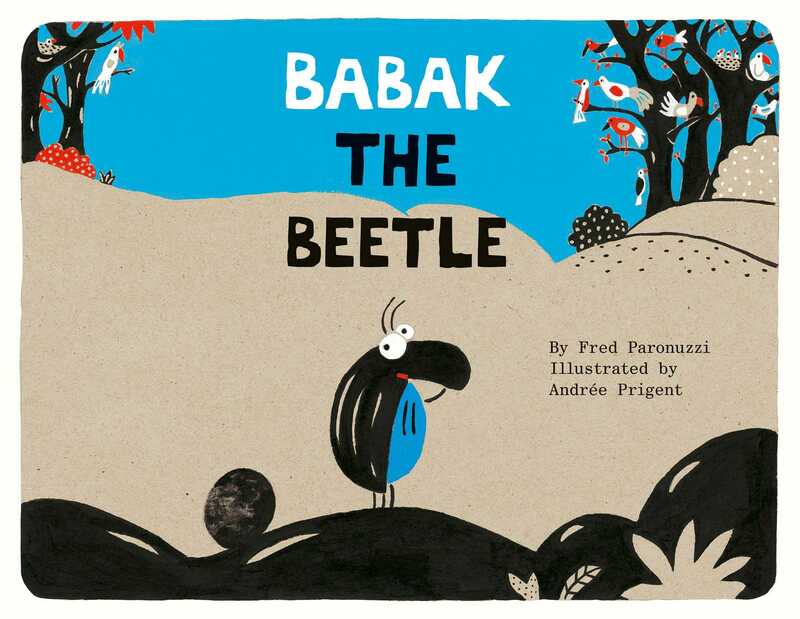 When Babak the little dung beetle finds an egg, he’s determined to find the owner. But he soon finds that this mysterious egg doesn’t belong to the ostrich, frog, or snake. What kind of egg is it?! Originally published in France, Fred Paronuzzi’s humorous tale paired with Andrée Prigent bright, graphic art is sure to bring on a good case of the giggles! Fred Paronuzzi is a versitile French writer writing for both adults and children—including novels, picture books, and more recently comic books. His books have been translated into Russian, German, Portuguese, and now English. Andree Prigent was born in Brest, France. She studied at the Regional School of Fine Arts of Rennes. Author-illustrator, she is also devoted to the press and advertising design.